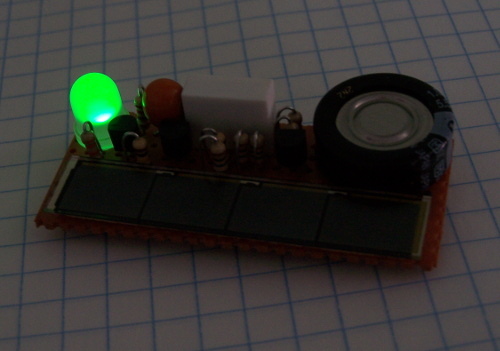 This spiffy little gum stick sized circuit flashes a LED every couple of seconds. Powered by a small solar cell which charges a super capacitor, it can blink for ~36 hours in total darkness when fully charged. Ambient room light during the day seems to be enough to keep it going through out the night. I also have one powered by an AA battery which has been blinking since March of 2015 with no signs of slowing down. P1: A small solar cell with 4 elements such as like you would find in a hand held calculator. It should have an output of about 2 volts or so. L1: Light Emitting Diode aka LED. 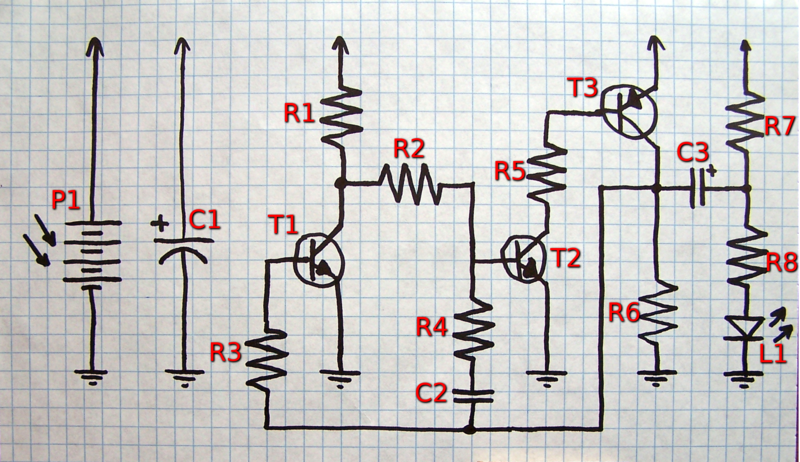 A LED with a forward voltage of up to about 2.5 volts can be used. In my flashers, a high output green LED is used. Note that some green, blue, or white LEDs may exceed that so be sure to test your LED first. P1 and C1 can be substituted with a 1.5 volt battery if desired. The blink rate can be changed by varying R2 and/or C2. I suggest experimenting with this circuit on a breadboard to see what you like before making anything permanent. Still going strong after nearly twenty years, this blinky in part inspired me to make mine. 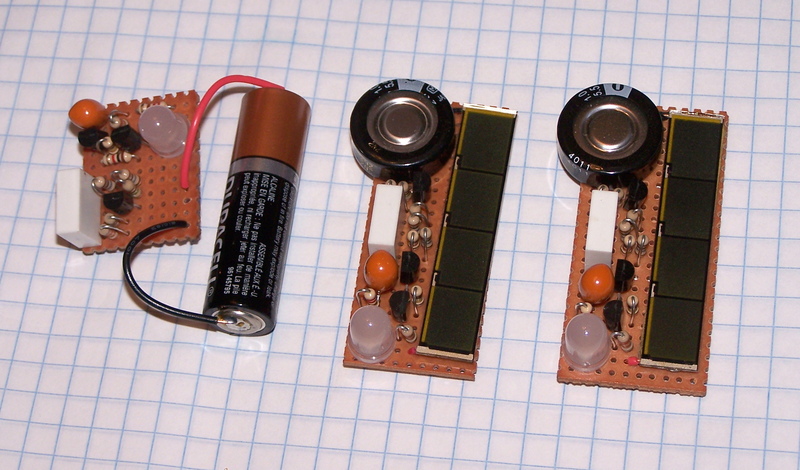 This battery powered flasher circuit is mostly what my flashers were derived from with a few tweaks. 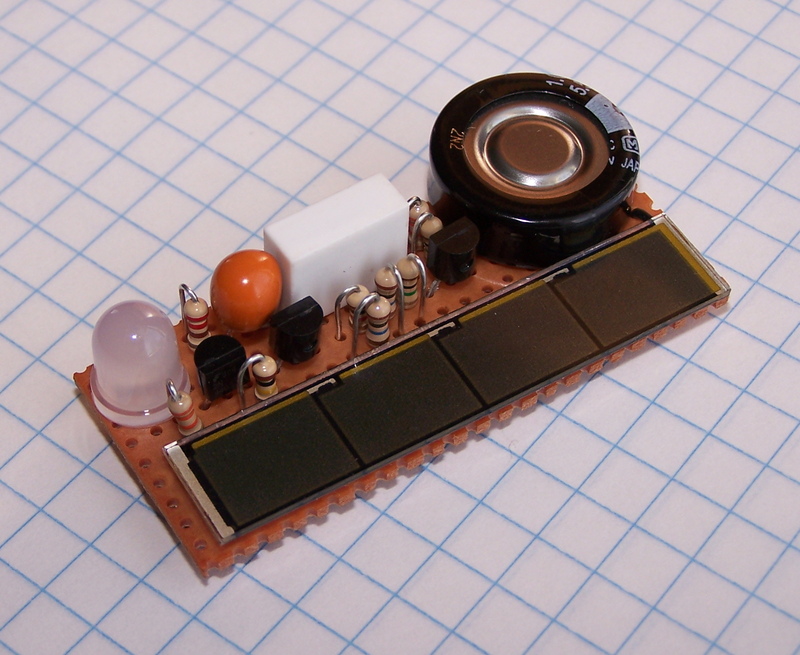 This album included a red blinking LED powered by a LM3909 flasher IC.